This show is another in our getting started series with Gmail. It’s purpose is to help you understand the various parts of the Gmail screen layout and the functions they perform. The largest and most noticeable object on the screen is the conversation index. It’s simply a list of email messages in a condensed format, showing who a message is from, the subject, part of the message (called a snippet), and the time or date it was received. Messages with the same subject are combined in to groups called “conversations”. 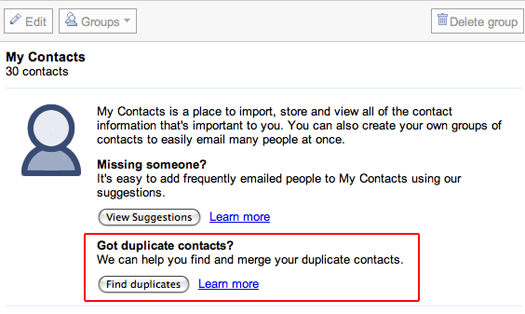 Gmail does this to help you keep track of related information. Other email readers refer to this as a “thread”. Some people find this a little confusing at first and wish there was a way to turn it off. There is no way to turn it off and I’m sure that after a time you will find the conversation layout a preferred way to see your email. By default, the message index displays your inbox, however it can display other messages you have searched for, messages you have labeled, and so on. On the left side of the conversation index, still within the list boundary, are a series of checkboxes. These are used to mark the conversations for additional actions such as archiving, deleting, labeling, and so on. You can select one or more messages by checking the checkbox or using the links just above the first message where it says Select All, None, Read, Unread, Starred, or Unstarred. This same list appears at the top and bottom of the conversation index. Also at the top and bottom of the conversation index is a menu of options labeled Archive,Report Spam, Delete, Move To, Labels, and More Actions. These menu buttons are the actions that complement the conversations you have selected. I’ll get in to some of these menu options in greater detail in other podcasts. A separate link to the right of the menu, labeled Refresh, allows you to update your inbox on demand rather than waiting a few minutes for Gmail to refresh automatically. As a quick example, when you select one or more conversations with the checkbox on the left then click Archive, the conversation is removed from your inbox, but still available on the server. If you click delete, the message is removed from the servers and gone. One of Gmail’s most used, but little appreciated features is it’s built in spam filter. Spam is unsolicited email for products or services you have no interest. It is the junk-mail of the Internet. As good as Gmail’s ‘spam filter is, a few slip through. You can help improve Gmail’s spam filter by selecting those troublesome messages and clicking the Report Spam button. To the left of the conversation index are several links. Just below the Gmail logo is a link labeled “Compose Mail”. This link takes you to a new screen to create a new email message. Composing messages is covered in greater detail in another podcast. A little further down are a group of links to your mail messages. The first is Inbox. As mentioned earlier, this are the conversations you have received and possibly read. The number next to any of these links indicates the number of conversations with unread messages in them. You can tell at a glance if, and how many, conversations need your attention. Next is a link labeled Starred. Starred messages are simply messages you have tagged to keep track of. What you use the star for is up to you. I use mine as a way to quickly tag messages I want to view at the end of the week for podcast material. Once done, I unstar the ones I use and leave the rest. Clicking this link displays the first page of conversations you have starred all grouped together. You can add or remove a star from any conversation or message you like by clicking the star just to the left of the senders name in the conversation index. The Sent Mail link displays the first page of messages you have sent. This is useful to verify you actually sent a message. Drafts displays all the messages that you have composed, saved, but not yet sent. If you have a long message, or want to wait before sending, you can find it in Drafts. As you compose a message, Gmail will save periodically, so don’t become alarmed if you see a number 1 appear here from time to time. Below Drafts is a short list of the most frequent labels you use. Labels are much like folders on other mail systems and Gmail creates several of them for you when you set up your account. Clicking any one of these links displays the conversations you have labeled or tagged with that label. I cover labels and managing your email in another podcast. Also on the left is a link to take you to your contacts and tasks. Not to sound like a broken record, yes, those too are also covered in greater detail in other Gmail Podcasts as is the chat feature also on the left below these two links. To search for messages in your inbox or archive, use the text box just to the right of the Gmail logo at the top. Type in the text you are searching for and click the Search Mail button. At the very top of the screen are links to other free Google services to help you manage your calendar, documents, and more. If you ever need help, and you cannot find a Gmail Podcast for it, use the Help link in the upper right of the Gmail screen. Finally, for security, be sure to click the Sign Out link in the far upper right when you are done using Gmail – especially on public computers like those found in hotels or libraries. One quick reminder, please consider filling out the Gmail Podcast survey. It will help me understand who is listening and how I can provide you with more useful information. Look for the survey link at the top of the website at chuckchat.com/gmail. FYI – This podcast is also available as a full motion video demo. I am considering doing more of these as premium content for those who subscribe to the monthly donations to the tip jar. As an added incentive, the videos will be free from advertisements. If you’re interested, please let me know. If there is sufficient interest, I will continue to develop these.